Call Us Today to Book Your Reservation! Call Columbia River R.V. Park today at (888) 366-7725 or (503) 285-1515 to check availability or make a reservation for your R.V. trip to the beautiful Portland, Oregon area! A Columbia River RV Park staff member will be happy to assist you in planning your next trip. We feature stays as low as $40.00 a night, and we offer AAA™ and Good Sam Club™ discounts. We are also a Mobile RV'ing Preferred Property. 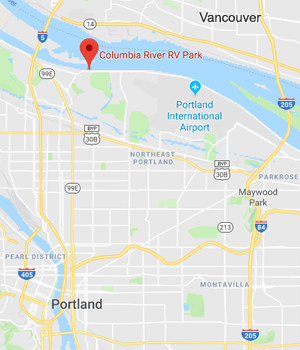 We are very close to the PDX Airport and downtown Portland to make travel to our RV park even easier for you. Our R.V. Park has free DirecTV for all of our sites with several premium channels for our guest's enjoyment! We look forward to seeing you at Columbia River RV soon!